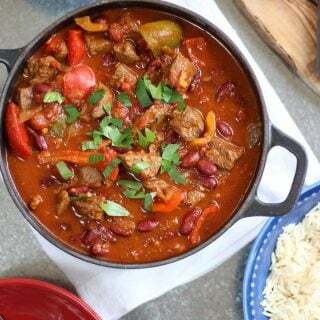 Easy Chilli Con Carne - The MOST Delicious & Easy Beef Chilli Recipe! Chilli con Carne (or Chili con Carne as the American’s spell it) is one of those family favourite dishes. A great winter warmer, but also perfect for these British summer days where the weather tends to let us down a bit. Eating this outside with a side of tortilla chips (and a margharita?!) makes me feel like perhaps we could actually still be on the way to summer, despite grey skies outside. This is my tried and tested family version of easy chilli con carne. I have no idea how authentic it is (perhaps not at all) but we love it. It freezes well and it’s mild enough for the children, but easy to add heat too if you fancy it. On to the ingredients, I always use chunks of beef rather than mince to make this easy chilli con carne. I saw it once many moons ago on a programme about cowboy cooking, true story, and I’ve never looked back. I think the texture is so much better than making chilli con carne with mince and it feels like a real treat. 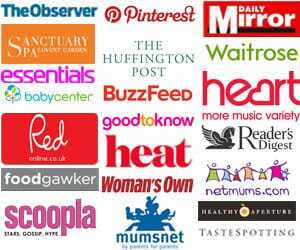 If you’re on a health kick for summer like I am, it’s also Slimming World friendly – hurrah! Have I sold it to you yet?! Buy your meat for the chilli con carne from the butcher if possible, they will also chop it into the small chunks you need if you ask nicely. Pat the meat dry with kitchen towel before frying it. Don’t push the beef steak pieces around the pan too much as it fries, just let it sit and fry off, getting really caramelised. Really let the onions cook down slowly, this adds a lovely depth of flavour I think. 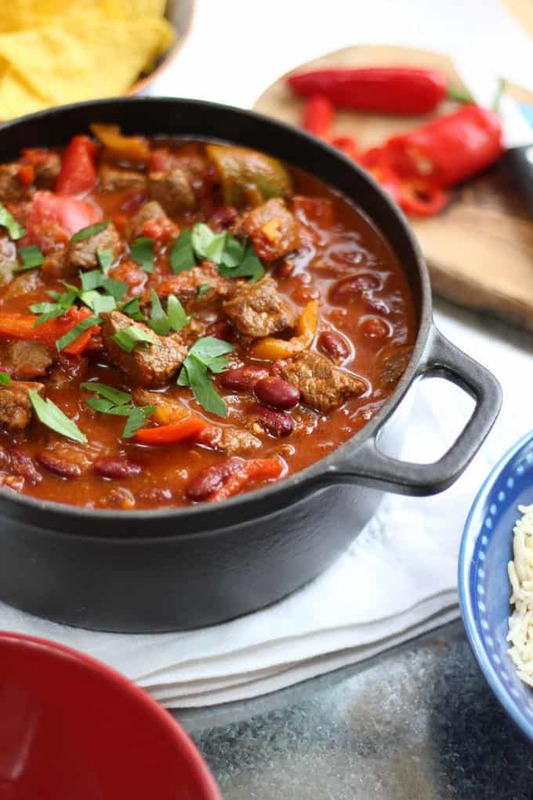 If you want to add more heat to the adult portions of this chilli con carne when you serve it, just add more chopped raw fresh chilli or some Tabasco sauce. If you’re following Slimming World, replace oil with FryLight, and count the syns for the sugar (which will be negligible across the 8 portions), serve with yoghurt and boiled rice. 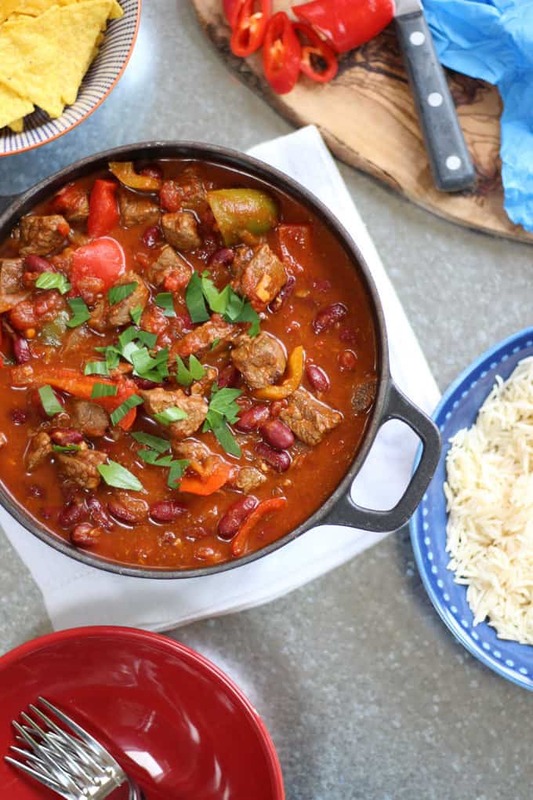 An easy chilli con carne recipe, perfect for the whole family. This slow cooked beef steak dish is also a great freezer filler. Heat half of the olive oil in a large, deep, oven proof, pan. Pat the braising steak dry with kitchen paper and fry in batches until well browned. With all of the browned steak out of the pan, add the rest of the olive oil, the onion, garlic, cumin, paprika, chilli and sugar. Cook gently over a very low heat for about 15 minutes, until the onions are meltingly soft and everything is sticky and fragrant. Add the meat back into the pan, along with the tomatoes and beef stock, stir. Pop the lid on the pan and put into the oven. After an hour and a half, give everything a good stir. The meat should be quite soft now. If it isn't, put back in for another 30 minutes. Add the kidney beans and peppers and pop back into the oven for a final 15 minutes. Stir well and serve. If freezing, allow to cool completely and pack in to individual portions and label. This recipe looks delish Sarah! I love making big batch meals and freezing some. As someone who has previously touched my eye after cutting chilli, I’d say those gloves are a must have too! 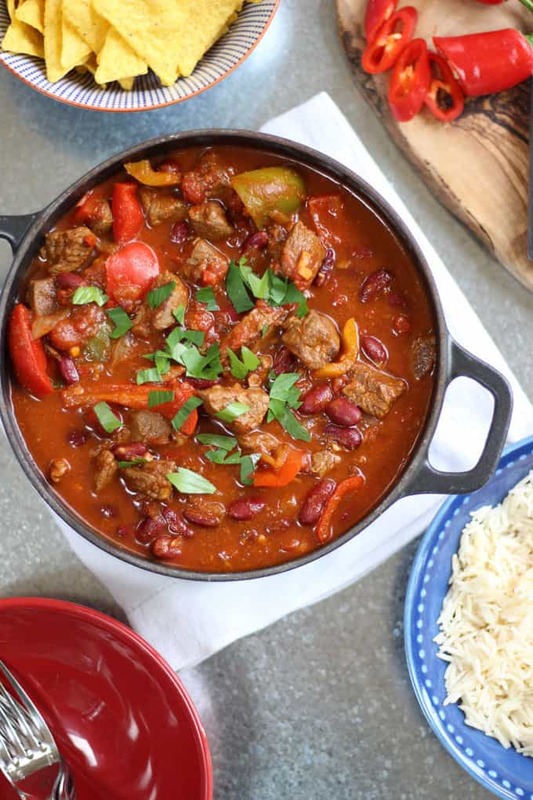 I love your tip to use chunks of beef instead of mince – I’m adding this recipe to my shopping list this week 🙂 I also need to start using the gloves when chopping chillis. I once chopped some chillis and then later took my contact lenses out. I cannot tell you just how painful that was! Oh my goodness that must have been awful! So pleased you like the beef tip, it’s so much better honestly! you can make this recipe instant. very easy recipe.